Home » Equine » What color is my horse? 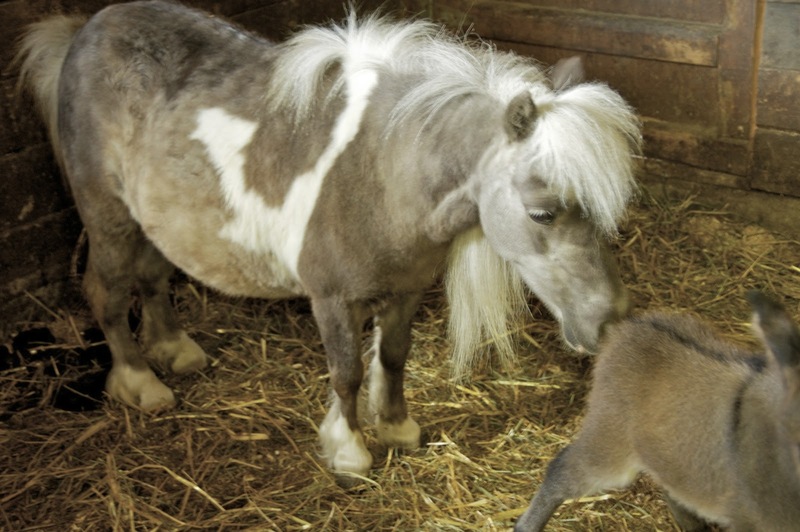 » what color is my Shetland? what color is my Shetland? I recently purchased my Shetland mare Rapunzel, and have been curious about her color since I met her. My instructor thinks rose grey, but as far as I am aware that is only a temporary coloring and would imply more greying, and she is around 9 years old. I know she has thrown a black tobiano colt before(tobiano from the stud). She is slightly darker when she actually sheds out but for the most part this light brown dappley color. Her mane says silver to me, but I am not well aquainted with the silver gene, so I'm not sure. Is cute a color? She is either silver black or a very dark flaxen chestnut. I'm pretty sure she is silver black but I can't be 100% sure as sometimes horses surprise us and shetlands have a very strange mutation called mushroom that while rare, could throw a wrentch in things. You can always test her for silver if you want to be sure. It's $25. So, we actually never had Flicka tested, but I'm almost certain she's black silver dapple. Since we got her about 3 years ago she's been about the same color. I am very confused about the color but I must say..It's awesome.